Sitting just off the north coast of Scotland, between the Atlantic and the North Sea, Orkney is probably the only place where, in the space of a single day, you can walk along a golden beach with seabirds and seals; clamber over wartime ruins, descend into ancient tombs, or wander around a house that is older than the Pyramids. With rugged cliffs, rolling waves, ancient sites and stunning wildlife, Orkney is a wonderful place to go for a walk. This guide will help you make the most of it. Featuring 40 favourite routes across 16 different islands, this volume makes it easy to explore Orkney's unforgettable countryside. 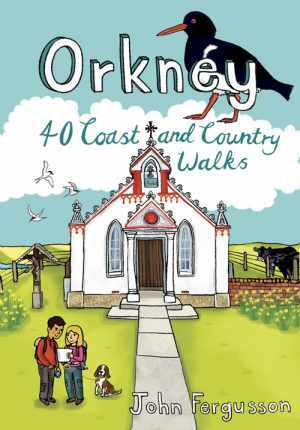 The best of Orkney's high cliffs, quiet roads and fertile landscape in one pocket sized walking guide.